Raised Coamings are available in various heights on any of our three lines of Baier Premium flush watertight hatches as well as many of our universal Steel hatches. Coamings are available for both lift out and hinged hatch models. 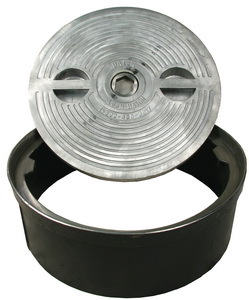 All coamings are fabricated from mild steel, and are welded to a galvanized steel deck ring. They come finished primed and painted to avoid corrosion. Baier coamings are available in various heights for any of our three lines of raised marine hatches. Coamings are available for both our lift-out and hinged model hatches. All comings are fabricated from mild steel, welded to a steel deck ring, primed and painted. Custom heights available – Please allow 6-10 working days.